Note It is possible that Borg ships may "grow" through assimilation, so each individual ship may look different and there would be no or fewer specific classes than listed here. 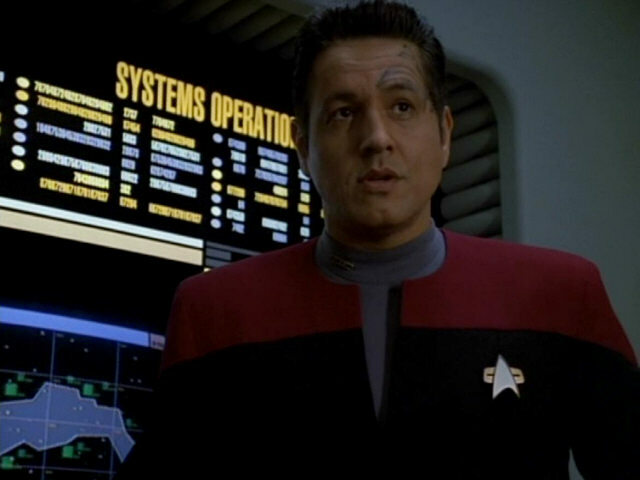 On the other hand, we have seen countless cubes in Voyager which looked the same and were of the same size, thereby establishing a class of vessels. An Earth transport was assimilated by the Borg in 2153. The original top speed of the Earth ship of Warp 1.4 was boosted by the Borg to Warp 3.9 when leaving Earth, then to Warp 4.8 and finally to Warp 4.98, using technology from their crashed ship. The Borg also incorporated a proton burst weapon. The ship is also listed here. The Borgified version appeared in two stages, one still showing portions of the original hull, and the final one incorporating parts of the Tarkalean vessel. Our side view depicts this final stage. The class-4 tactical cube is about the size of a cube (variant 2), but more heavily armed. The tactical cube was intentionally laid out by Doug Drexler as a standard cube with additional hull plating as shown in Star Trek: The Magazine (October 2000). Visual evidence from VOY: "Unimatrix Zero" supports the assumption that it is of the same size as a 3km cube variant 2. It seems unusual that the Borg would give this ship type, unlike all others, such a specific designation, which is why I think "Class-4 tactical cube" is rather a Federation classification. 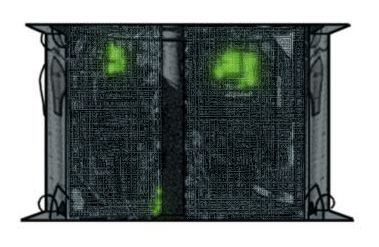 The Borg cube first encountered in 2365 is a huge vessel with highly distributed systems. A cube has no specific markers that could allow to identify individual ships. The fire power of a cube is far superior to any Federation ship of the time. The cube variant 1 could be seen in TNG: "Q Who" and "The Best of Both Worlds". The physical model of the cube was made of whatever material was available, mostly trees left over from model kits. 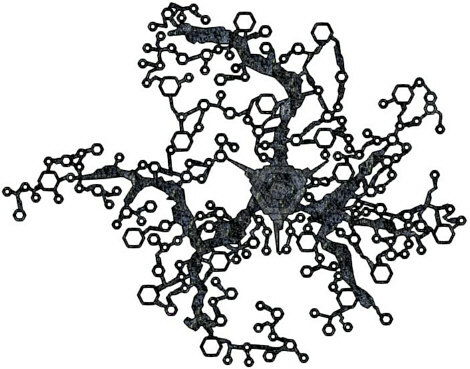 This is why it appears as a maze of pipes when we look closely, visually very different from the later Voyager cubes (variant 2). Variant 1 also seems to be larger in most shots. It is possible that the cubes in the two TNG episodes were actually the same, as Data could not find any identification markers. Although it was never mentioned on screen, it has been suggested that a cube may grow as new technology and new drones are assimilated. This would ultimately explain all the size differences. In particular, it would explain why the cube (variant 1), after a longer journey through the Beta and Alpha Quadrants, may be so much larger than variant 2 that we see in the Delta Quadrant. On the other hand, this would render any attempt to classify Borg ships futile as they would be extended and modified in a chaotic fashion. In TNG: "Q Who", when the first Borg cube appeared, the vessel's external structure could regenerate after much of it had been destroyed by the Enterprise's weapons. All Borg vessels since "The Best of Both Worlds" seemed to lack the ability of fast regeneration, but they were much harder to damage in the first place. The opening sequence of "Star Trek: First Contact" shows a flashback of Picard's time as Locutus aboard the Borg cube. The visuals created for this scene would fit better into a spherical hull than into a cube. The scene was reused for the interior of the sphere in VOY: "Drone", suggesting that the two are identical. We may speculate that the big cube in "Best of Both Worlds" had a sphere just like the smaller one in "First Contact". This would also explain how the Queen and some drones (as mentioned in VOY: "Unity") could escape, although sensors on Earth and on the Enterprise should have picked up the sphere's departure. The larger size of the sphere seen in "Drone", compared to most other spheres seen on Voyager, goes along nicely with the fact that the shown interior would require a larger sphere anyway. The standard Borg cube variant 2 appears to exist in much larger numbers than variant 1. These cubes don't have specific configurations either, and there may be many variants that only share their size. In contrast to variant 1, the cubes seen since "First Contact" and Voyager are chunkier and less "transparent", as they have a hull plating with 45-degree angles. This could point to an upgrade or a new class of cubes. However, in VOY: "Dark Frontier", the Hansens ran into a Voyager-style cube already a decade prior to TNG. Since the TNG cubes may be considerably larger, while the differences between the "First Contact" (physical) and Voyager (CGI) cubes are less obvious, it may be useful to distinguish only two types. 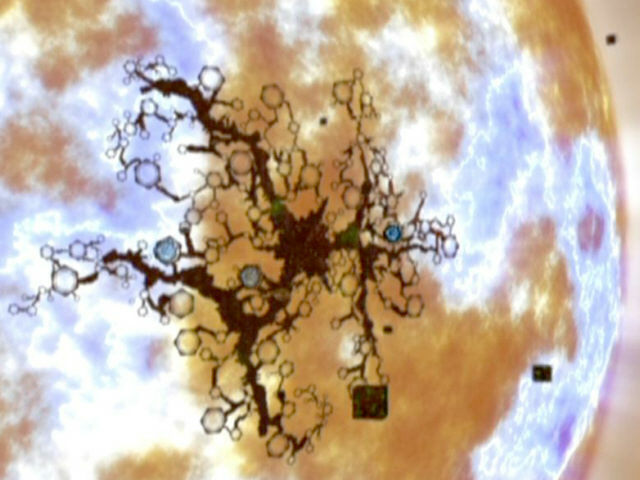 Actually, on a diagram in VOY: "Scorpion, Part I" it looks indeed like there are supposed to exist exactly two different sizes of cubes. Only the cube in "First Contact" was ever seen or mentioned to release a sphere. Considering how many cubes were blown up without survivors in Voyager, for instance by Species 8472, it is possible that only few cubes are actually equipped with the "lifeboat" sphere. The size results from the internal volume of 28 cubic kilometers mentioned in VOY: "Dark Frontier", yielding a length of 3040m. The size chart for "First Contact" in Star Trek: The Magazine (March 2001) shows the cube at 9000ft = 2743m. The difference is small enough to postulate that there is actually only one size of variant 2. 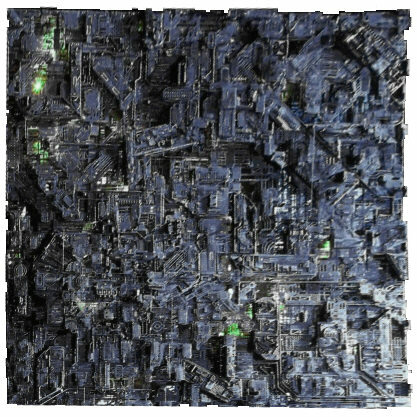 The crew size of 129,000 is stated for the cube encountered by the Raven (VOY: "Dark Frontier"), while the visually identical Cube 630 (VOY: "Unimatrix Zero") has a drone complement of 64,000. It is possible that the first number includes newly assimilated drones. 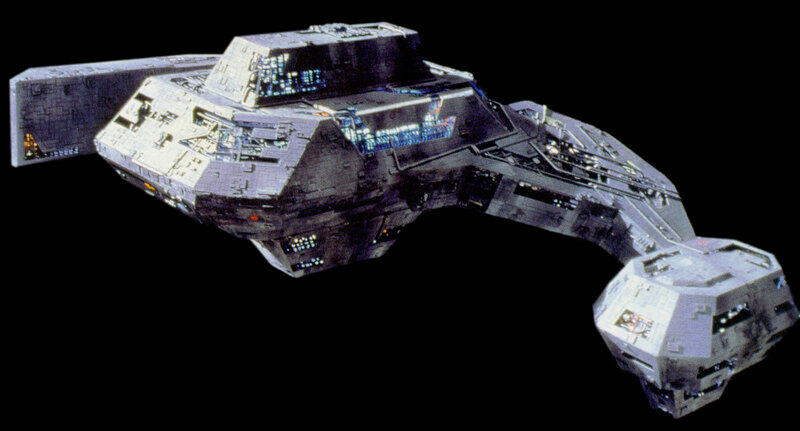 The coffin-shaped Borg ship is roughly the size of a Federation Intrepid class and a match in terms of fire power. The probe only appeared in VOY: "Dark Frontier". This diamond-shaped vessel carries the Borg Queen. It is significantly smaller than a standard cube and may be integrated into the Unicomplex. 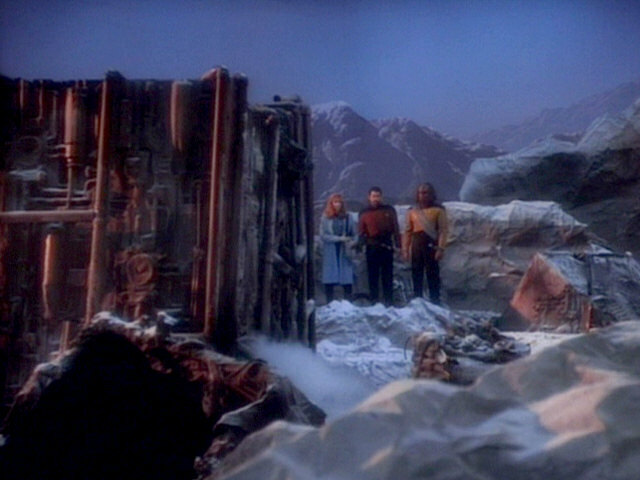 The Queen's ship was destroyed in VOY: "Dark Frontier". We may assume that the Borg built a new one (as well as a new Queen), since we see the Queen's chamber again in "Unimatrix Zero" and in "Endgame" where the Unicomplex is apparently ultimately destroyed. 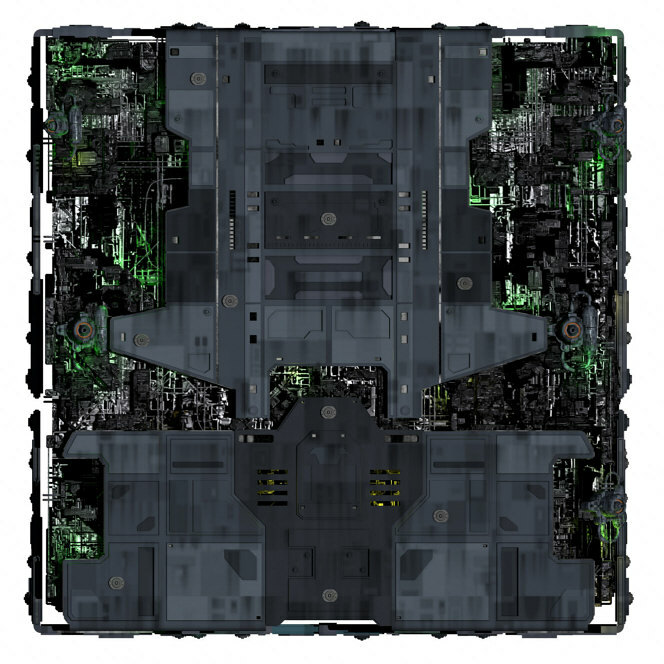 The vessel used by the Borg renegades in 2369 is irregularly shaped, significantly larger and more heavily armed than a Federation Galaxy-class starship. 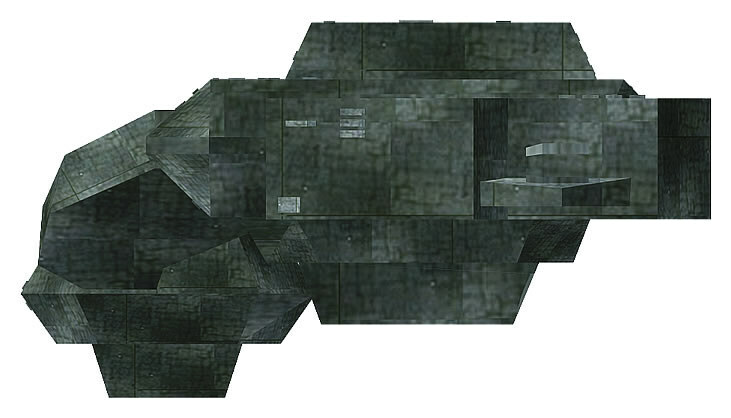 As suggested below, the Renegade Borg vessel, as seen in TNG: "Descent", may originate from a mine layer, but this is only speculation. It could be just as well a starship of an unknown alien species that has been "Borgified". The designation "Vessel Borg Type 03" comes from a display in the episode. Sphere variant 1 is considerably larger than variant 2, yet smaller than a cube. Variant 1 may serve as a long-range tactical vessel. The larger type of spheres appeared in VOY: "Drone", identified as "long-range tactical vessel" by Seven. Sphere 634 that followed Voyager into the transwarp channel may have been that large too. 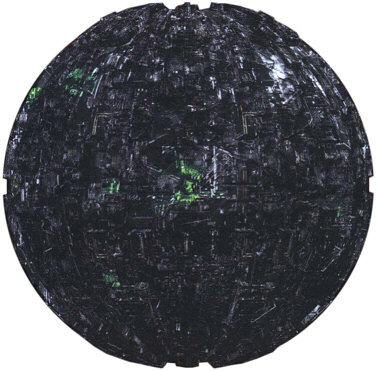 Sphere 878, ordered to self-destruct by the Queen in "Unimatrix Zero", had a crew complement of 11,000, which points to quite a large size as well. As suggested above, a sphere similar in size and structure to the long-range tactical vessel may have been aboard the cube variant 1 as a lifeboat in TNG: "The Best of Both Worlds". The smaller sphere variant 2 is about 450m across. It serves as an independent vessel or as a lifeboat for cubes of variant 2. The smaller sphere first appeared in "First Contact". Most spheres seen on Voyager seem to be of this smaller type too, in particular the ones in VOY: "Survival Instinct" and "Unimatrix Zero". Although the models are visually identical, the size difference to variant 1 is considerable. Most visual evidence would support a diameter of 1500ft (=457m), as depicted in Star Trek: The Magazine (March 2001), which also goes along with the size chart for "First Contact". In ENT: "Regeneration" the diameter was estimated to be 600m, based on the radius of the wreckage. The multikinetic mine is a powerful weapon that was considered as a defense against Species 8472 in 2374. The multikinetic mine appeared on a display in VOY: "Scorpion" where it was clearly the same design as the Renegade Borg ship. 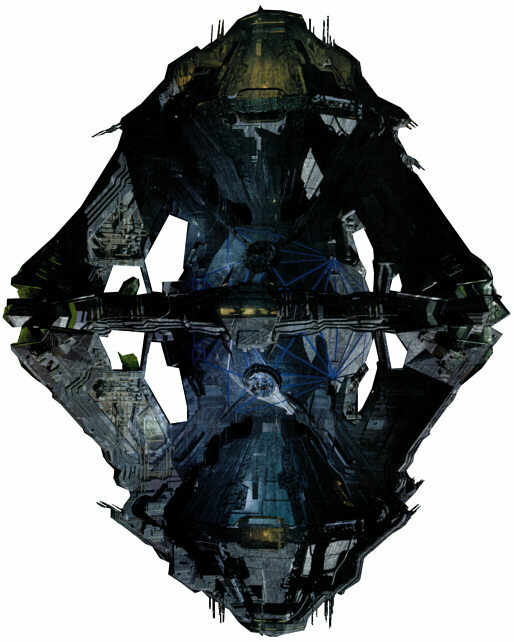 We may either ignore the similarity, or the mine is really that large and is manned with countless drones. It is also possible that the display actually depicted the mine layer. The scout vessel is a small ship of the size of a shuttle, manned with five drones. 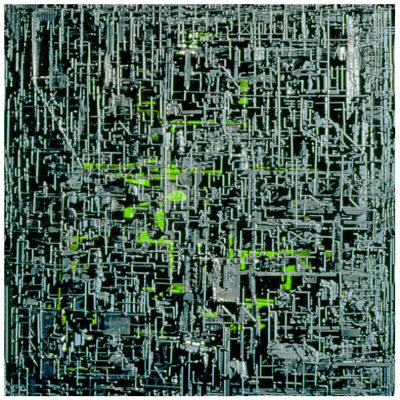 A transwarp hub is a part of a network of transwarp corridors maintained by the Borg. There are six of them in the galaxy. The transwarp network was used for Voyager's travel home and subsequently obliterated in VOY: "Endgame". The Unicomplex, the center of all Borg activities, is a vast spaceborne installation including the Central Nexus of the Queen. 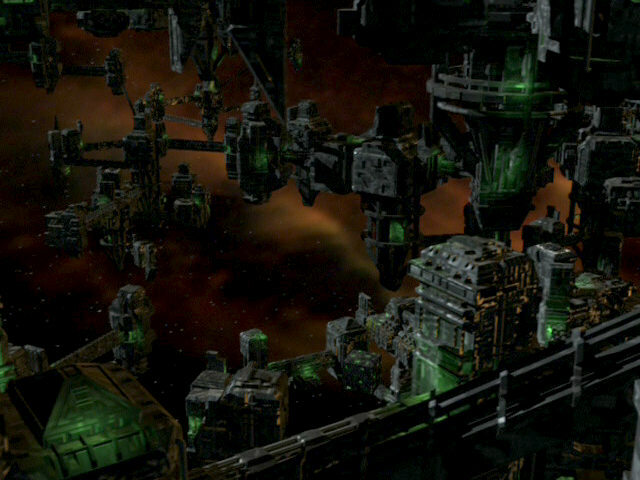 The Unicomplex was shown in VOY: "Dark Frontier" and eventually destroyed in "Endgame". Even if most of the Borg population is concentrated there, "Trillions of drones", as much as the population of thousands of planets, inside the Unicomplex seems to be vastly exaggerated. If the Borg really don't reproduce themselves, it would be almost impossible to ever gather so many drones in one place - unless the life span of a drone were unlimited. Personally, I suggest to reduce the figure to "billions".